Thursday marks the somber anniversary of the Sandy Hook Elementary School shooting in Connecticut, and the NBC Boston Investigators are taking a closer look at gun violence in Massachusetts. 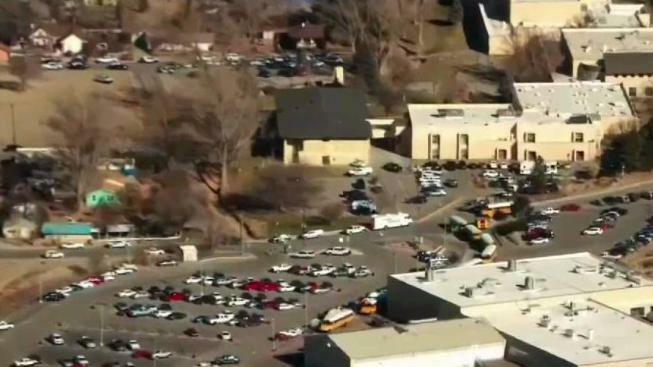 A 21-year-old gunman opened fire in a New Mexico high school killing two students before turning the gun on himself last week. That incident contributed to a horrifying statistic. There is one school shooting a week in this country -- more than 220 since Sandy Hook, according to the advocacy group Everytown for Gun Safety. “When you hear things like, ‘Oh, gun violence, it’s too much we’ve got to do something.’ That’s where I get worried. You can’t just do *something. We’ve been doing something and we’ve been losing,” Boston University School of Medicine researcher Bindu Kalesan said. Kalesan studies school shootings and reviewed more than 150. In a recent study, she and her colleagues found shootings happen significantly less often in states like Massachusetts, states which spend the most money on K-12 education and mental health services while requiring background checks for firearms and ammunition. She supports nationwide background checks. State Representative Ruth Balser is not quick to let the state off the hook. The Newton democrat fought hard to successfully reinstate the Safe & Supportive schools grants which Governor Baker cut in 2015. The program gives money to schools for everything from active shooter training and security cameras to social programs. In the fiscal year 2017, nearly 50 school districts applied for $400,000 in grant money for this form of school security. Eighteen won awards ranging from about $2,000 to $30,000. $292,000 in grant money was paid out. It is unclear how the more than $100,000 balance was used. This is the response from Governor Baker's office.